Cybersecurity Law: Legal experts say New York-registered service contract providers must take immediate action to comply with the state's new Cybersecurity Regulation before the looming deadline at the end of next month, and before the state's regulators levy heavy fines and penalties to send a message to the industry. Apple's Warranty Data: Warranty expenses began a swift climb at the end of 2009. But so did product sales, as the Mac and iPod gave way to the iPhone and iPad. And so, the share of total revenue spent on warranty didn't soar. 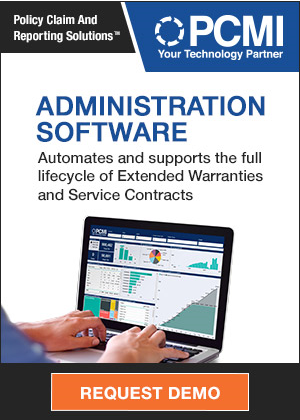 Vehicle Service Contract Administrators: As we conclude our VSC industry tour, we take a look at the financial strength ratings of the underwriters, the end user revenue of the administrators, and the myriad of links they have with each other, with auto dealers, and with the vehicle manufacturers. Warranty Accruals per Vehicle: Multiple readers said something wasn't quite right with the warranty data in last week's newsletter. So this week we're diving into the deep end, probing to see if it's possible for both accruals and prices to fall as fast as the math says they are. Expiring Warranty Companies: With Eagle Warranty closing its doors and US Fidelis halting its sales, the era of fast talk and easy money in vehicle service contract sales may be coming to an end. But they and others have left a giant mess that various attorneys general are only beginning to clean up. New Home Warranties: One CEO recently said the worst of this cycle may be behind us. In terms of sales decreases and price declines, maybe so. But in terms of warranty costs, the worst is right now, as builders have less cash to pay for warranty work on units they sold at the end of the boom years. And then there's the question of how costly the defective Chinese drywall will turn out to be to replace. Lifetime Warranties: Companies are free to define a lifetime any way they wish, but they have to be clear about their rules and their exclusions. Some issue the warranty to just the first owner of the product. Others qualify it with words such as reasonable or useful. And some high-tech companies spell out a policy under which the warranty's lifetime will end after sales cease and spare parts run out. 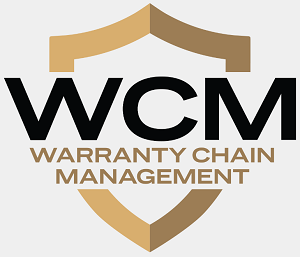 Warranty Conference: Economic turmoil is likely to take its toll on WCM 2009 attendance, but those who can make it to Orlando next week will see a series of how-to presentations by some of the biggest warranty providers in the world. Legal and regulatory issues are also on the agenda, and yes, there will be a quiz at the end.